Do you know what "lapbooking" is? Well, I didn't until just a few weeks ago. A Journey Through Learning sent members of the Schoolhouse Review Crew three of their lapbooks and one unit study to review - Knights and Castles; The Earth; Letters, Numbers, and Shapes; and Astronomy and Space. As an ex-Creative Memories Consultant, this was right up my alley! I have always liked arranging things and making things look nice, but with these lapbooks you don't have to waste any time figuring out what should go where. Best friends and owners of A Journey Through Learning, Paula and Nancy, have done all the grunt work for you. 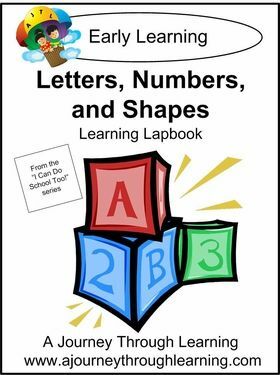 Clear, detailed instructions make assembling these lapbooks super easy, especially for children. Paula and Nancy, fellow homeschooling moms, decided to start this business (after a little nudge from their husbands) because they noticed that there was a "lack of quality hands-on materials out there for homeschoolers that covered subjects other than phonics, addition facts, and plants." 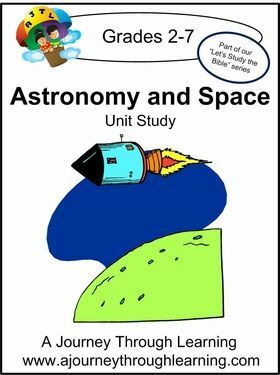 This 42-page lapbook and study guide is suitable for children in grades 1-4. 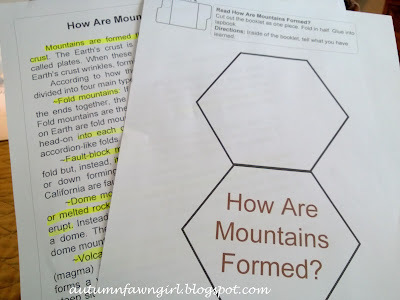 Children will learn about what the earth is made of, seasons, continents, mountains, volcanoes, water, atmosphere, rocks, ocean zones, etc. Click to view several sample pages. Besides scissors and glue, you will need 2 file folders. Also, if you plan to store your finished lapbooks in a 3-ringed binder, you will need duct tape, a hole punch, and a 3-ringed binder. Even though my daughter reads well on her own, I still read science and history lessons out loud to her. 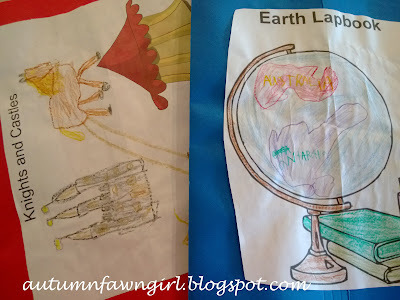 So, each day after I read a brief earth-related lesson to my daughter, she would complete the accompanying activity. Sometimes there was more than one activity per lesson, so she would do the other one the next day. Even though the lessons were very easy to understand, I would highlight the main points to help her focus on what to write for the activity. Not all of the activities require writing, though. My daughter managed the cutting and gluing on her own. :) It took us about 3 weeks to finish the lapbook. 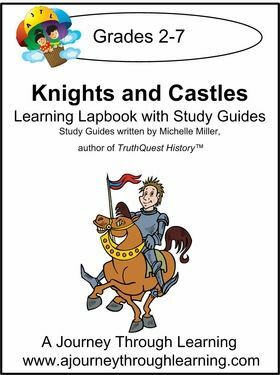 This 51-page lapbook suited for children in grades 2-7 was written by Michelle Miller, the author of the TruthQuest history program. Beginning with the fall of Rome, this study will explore what life was like during the Middle Ages. Learn all about knights and their weapons, armor, and way of life. Learn about parts of a castle, manor houses, serf houses, the feudal system, the Catholic Church, and more! Click to view several sample pages. 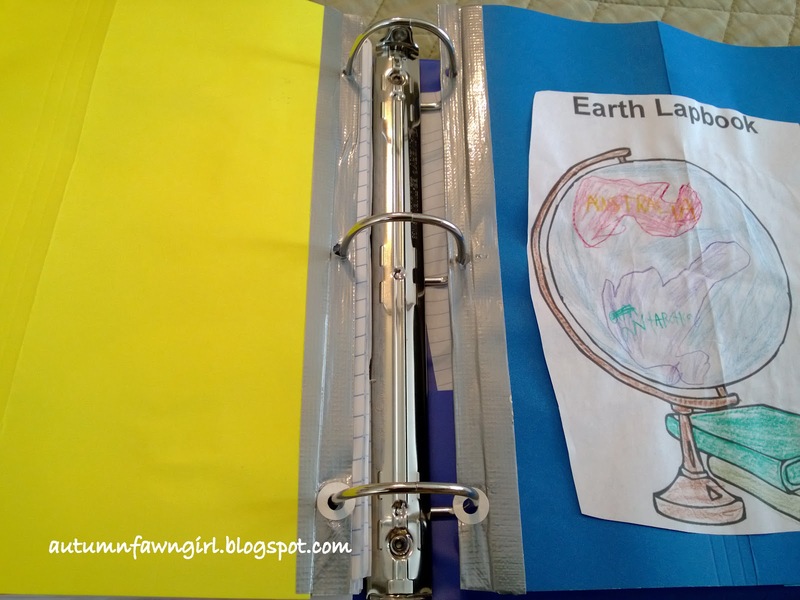 Same as for the Earth Lapbook, except you will need 3 file folders. These lessons were a bit longer than the ones in the Earth Lapbook. 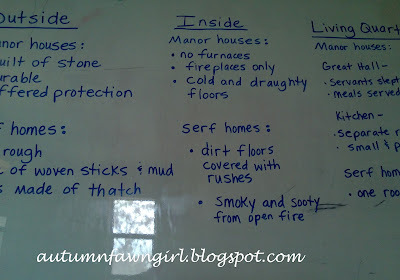 I would highlight important information, and for some of the lessons that required a lot of writing, I would help by organizing the information on our dry erase board. My daughter could then copy the notes for that particular assignment. Basically, we followed the same format for this lapbook as we did for the Earth Lapbook. This one took about 4 weeks to finish. Both lapbooks we reviewed were Christian friendly. :) And what a neat way to display all of that hard work! 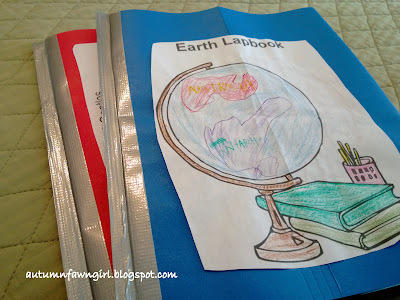 You can store all of your children's lapbooks in a 3-ringed binder by securing the edges of each lapbook with duct tape and punching holes in the sides of the tape. Instructions are included with each study. I had a little trouble punching out a couple of the holes in the duct tape - probably due to the fact that I have an old hole punch, however, I did finally manage, with the help of those little white circles, to get them in the binder. 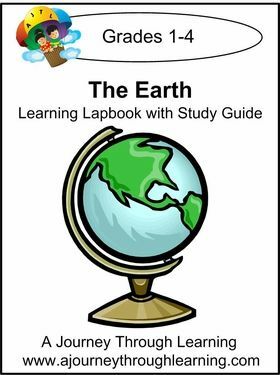 A Journey Through Learning has stand-alone lapbooks like the ones we reviewed and lapbooks that go along with certain homeschooling curricula. Here are a few samples. I am excited about the Apologia ones for sure! 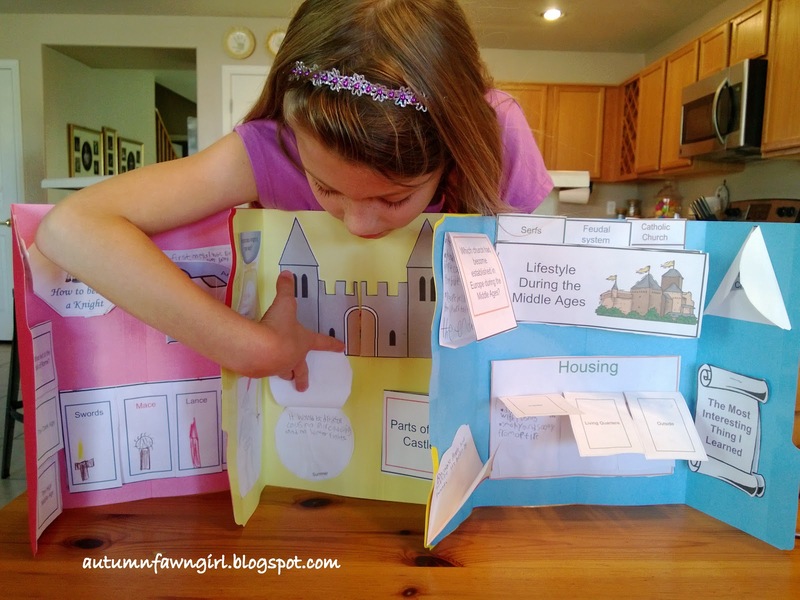 If you are a parent who loves unit studies and have children who love hands-on activities, I think lapbooks from A Journey Through Learning will be a great match for your family! I am thankful there are some convenience foods out there that do use healthier ingredients. One of the brands I like is Annie's. 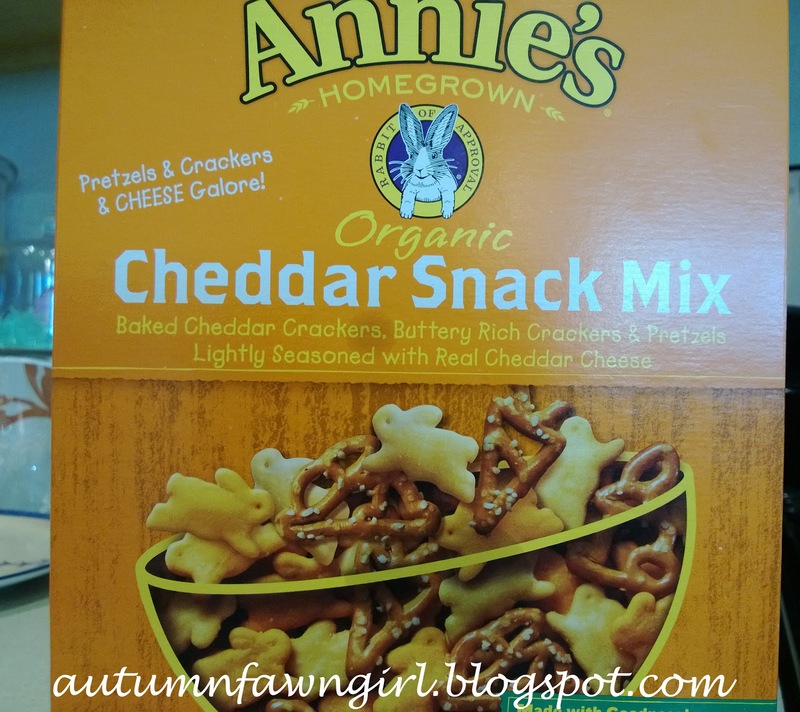 I mostly buy Annie's snack foods and on occasion mac & cheese. 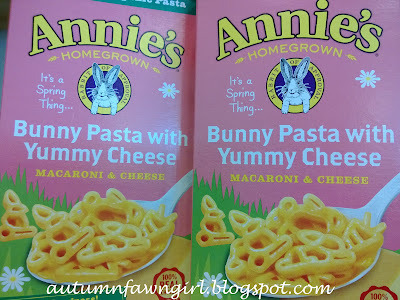 My daughter really loves the bunny macaroni, and all three of my kids like the Cheddar Snack Mix. I was so excited to find that the snack mix is a lot cheaper at Target than at Fry's! I think we've tried all of the different Bunny Grahams at one time or another. 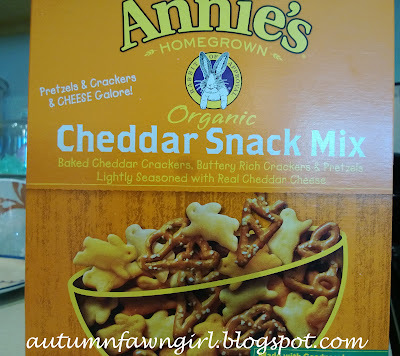 You know another great thing about Annie's snack foods? They're perfect for Easter!! Not that bunnies really have anything to do with Easter, though. 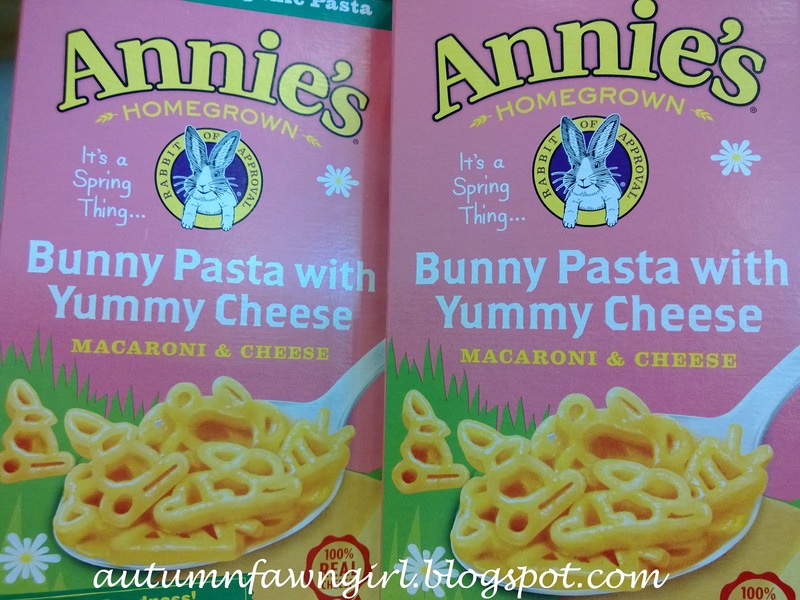 What's your favorite Annie's food? 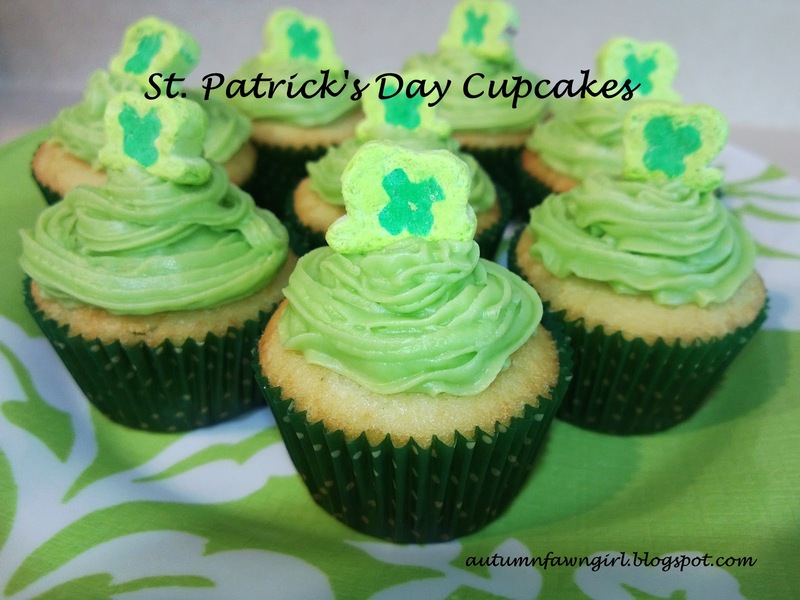 This is my first time to participate in a Blogging Through the Alphabet Link Up. Hopefully I will be able to make it through the entire alphabet! 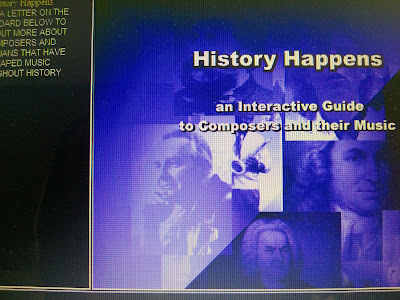 I was really excited about Adventus offering their MusIQ Homeschool curriculm to members of the Schoolhouse Review Crew. My oldest son bought a keyboard not too long ago and has basically been trying to teach himself to play by doing research on the Internet and by playing by ear. Since piano lessons are out of the question, I figured MusIQ Homeschool was going to be the perfect solution to all of my son's keyboard playing needs, especially for learning how to actually read music. 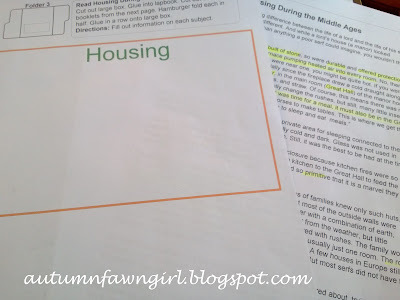 So, What is MusIQ Homeschool? MusIQ Homeschool is an award-winning, comprehensive, interactive music curriculum designed by music educators for homeschool families. There are two curriculum choices available: Early Curriculum Software and Lesson Plans for ages 4-10 and Multi-level Curriculum Software and Lesson Plans for ages 10+. Put together, MusIQ Homeschool is a 7-year curriculum that includes over 20 levels for students ranging from beginner to advanced. 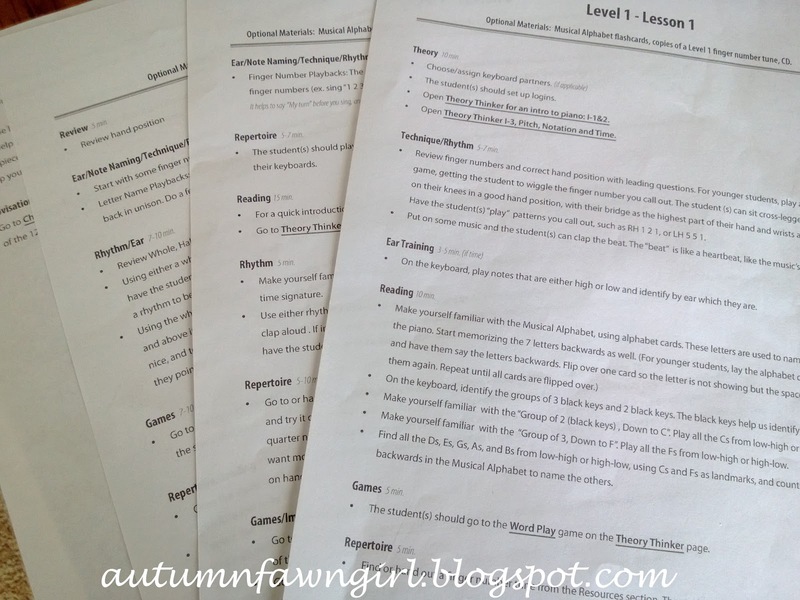 Lesson plans provide objectives, activity sheets, quizzes, assessments, and professional tips. You will need a MIDI Keyboard (piano keyboard that interacts with a computer) in order to use this software. The website recommends the M-Audio KeyRig 49 USB MIDI keyboard which can be purchased on the website. 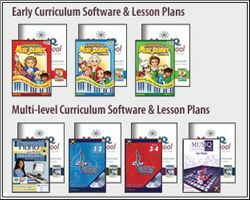 *All lesson plans for each level in Early Curriculum and Multi-Level Curriculum can be purchased separately for $29.95 each. Subscription Option: You can choose to purchase a subscription to the software for a monthly fee of $10.95. 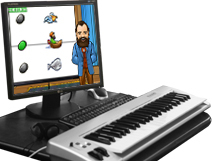 This subscription includes unlimited access to all of the MusIQ Homeschool software titles (over $450 retail value) and a discount on the purchase of a MIDI piano keyboard. The subscription does not include lesson plans. For the rest of this review, I will be focusing on Piano Suite Premier from the Multi-Level Curriculum since my 13-year-old son was the one using it. 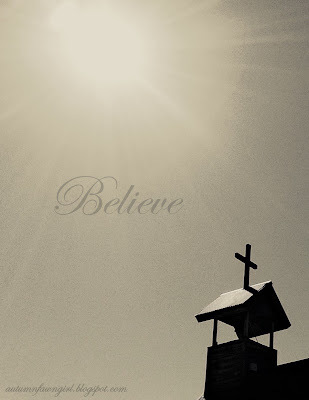 Now, other than taking a choir class at church when he was very little and listening to his dad play the guitar, sing, and lead worship every Sunday, my son has very little personal musical experience. It's just not something we as parents force upon our kids, but I love that my son is finally interested in music! 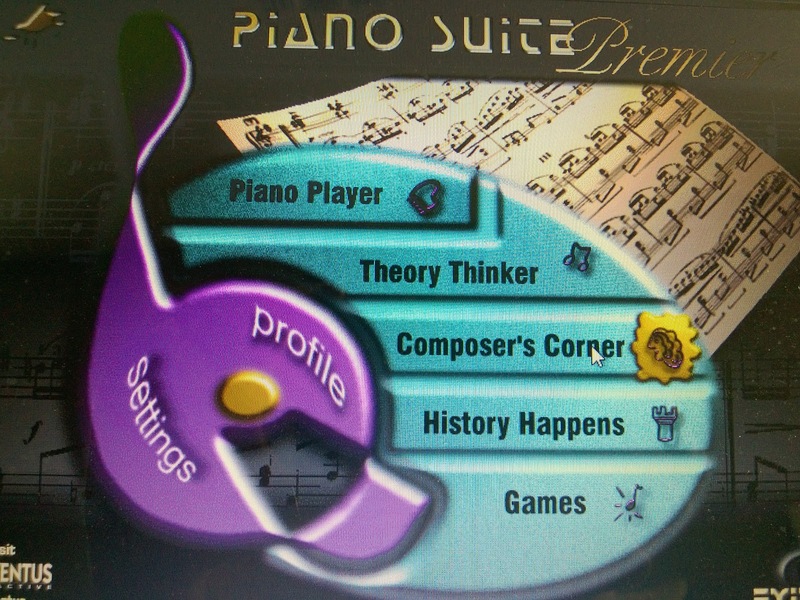 Let me tell you about Piano Suite Premier before I mention how we used it personally. It is an interactive music program in which your child can learn to read music; play the keyboard; and even compose, print, and play his own pieces. There are five skill levels from which to choose ranging from beginner to intermediate to suit your child's needs. During narrated lessons on notation, music theory, sight reading, and playing, your child will be given immediate feedback while practicing what he's learned on the keyboard. Incorrect notes will be marked by a red X, and in order to continue playing, he will have to play the correct note. All correct notes played are marked as green. In the Learn-to-Play Library your child can choose from 500 pieces which cover a wide variety of musical tastes such as rock, country, jazz, classical, and more. Some of them include more modern artists such as The Beatles, Bryan Adams, Whitney Houston, Boys II Men, R.E.M., and Elvis Presley. This is the main screen where you can choose where to go in the program. 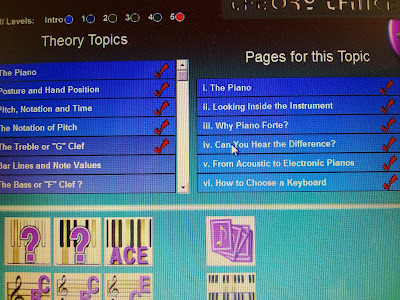 Theory Thinker is where the narrated lessons are, and where my son spent most of his time during the review period. As you can see the lessons completed are marked by red checks. These are the level 1 lesson plans that go with the lessons in Theory Thinker. 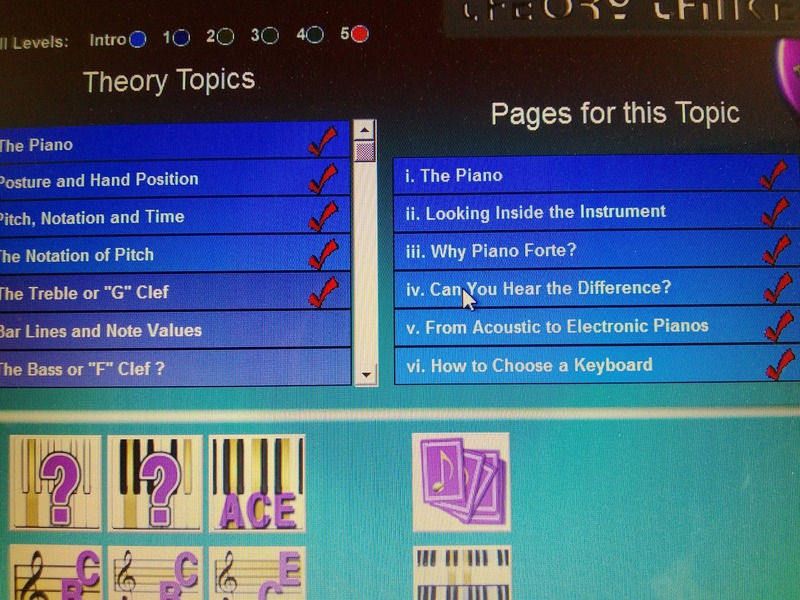 Headings include topics like Theory, Technique/Rhythm, Ear Training, Reading, Games, etc. Each heading shows the amount of time it will take to complete the assignments within that particular heading. Lessons last about 40 - 60 minutes. History Happens is a nice feature where you can learn more about the composers and musicians that have played a part in shaping music throughout history. 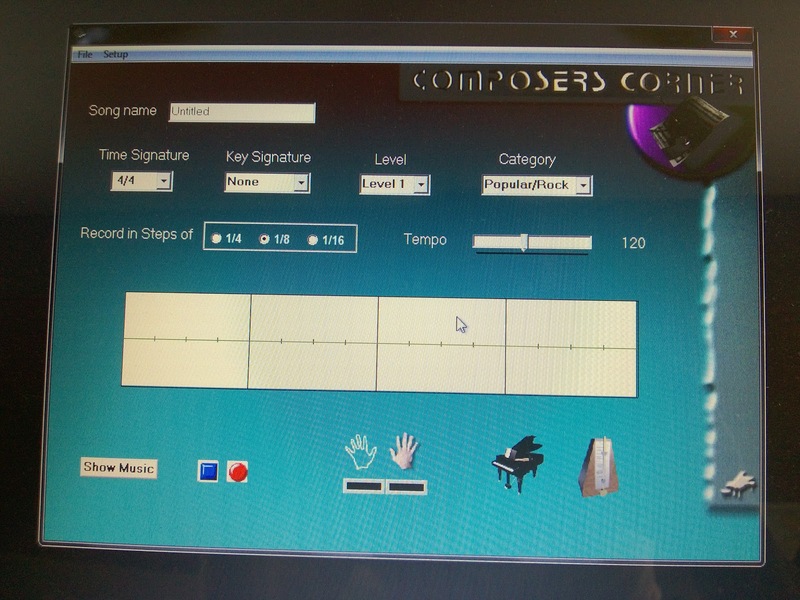 Composer's Corner is where you can compose your own music. This is not a feature my son has used yet. Song Setup is the place where you can choose pieces you'd like to play. My son wasn't quite ready for this either. 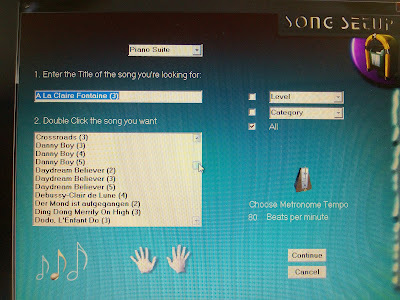 As I mentioned before, I was thrilled about the chance to review this piano software. After viewing an hour long webinar, I was ready for my son to begin! Unfortunately, my excitement was short lived when I began to experience a few problems. I ended up needing some help with the installation process and then some more help with getting the program up and running. Thankfully I can always call on my hubby when I am having computer issues! Next, I needed help getting the computer and keyboard connected and working together properly. Since my son already had his own MIDI keyboard, it was recommended that we might need to purchase a particular adapter, so I went ahead and bought it in order to be prepared. Well, we ended up not needing it, and fortunately my husband found an adapter that worked which we already had on hand. At that point, I was really beginning to get frustrated, and we hadn't even started the program yet! I'm not techy or musical, so I was feeling a bit helpless. Without my husband's help, I wouldn't have been able to get things going on my own. 1. The installation process was a little bit cumbersome. Instead of one executable file, there are several files that had to be downloaded, saved to disk, and run in a particular order. 2. The graphical user interface (GUI) was outdated (think Windows 98), which might create problems for kids growing up in an age of much more intuitive software products. 3. For this reviewer, the USB-to-MIDI adapter was not needed. The software performed as designed via a USB-to-USB connection between the keyboard and the PC. 4. Without printing every lesson plan, it's impossible to determine where one day's lesson ends and another begins via the software application. Additionally, without the printed lesson plans, it's impossible to know which activities are to be performed in the supplemental programs. After all of that, my son wasn't exactly thrilled about having to continue the lessons. He didn't really have a choice, so he trudged on. After finishing lesson 7, he decided to start over from the beginning. He said he felt like he was moving too fast because he was feeling pressure to move to the next lesson for the sake of the review. He said he was feeling lost, confused, and unable to master what he'd been learning. He wanted to go back to what he'd been doing before - learning by ear. He'd actually already learned how to play a few songs by doing it that way, and I think he was just frustrated with all the technical aspects of learning how to play with this program. I tried sitting in on a few of the lessons to see if I could offer some help and encouragement, but I know it made him uncomfortable with me there. Plus, as I said before, I'm not much help in the music department. While my son was adamant about the fact that he didn't like Piano Suite Premier, it seemed to me that his frustration over the whole thing hindered his ability to learn. I didn't know how to fix that part! Truly this is not how I wanted this review to end up. I had high expectations for MusIQ Homeschool. 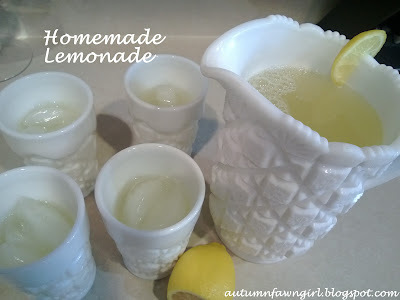 Though my son does not want to continue lessons, I would love to give it a try maybe this summer when I have some spare time. I've always wanted to learn how to play the piano, and I know I probably wouldn't be good at playing by ear! Also, if my son is willing to let his little sister use his keyboard, I'd love for her to start with the Early Curriculum which looked really fun. 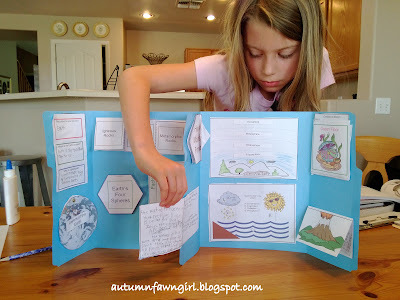 Click to read more Adventus MusIQ Homeschool reviews from the Schoolhouse Review Crew. My son and I were recently given the opportunity to review The Art of Poetry by teacher and poet, Christine Perrin, MFA, from Classical Academic Press. My 13-year-old son gave me one of those looks when I said we'd be reviewing a poetry curriculum. I kind of expected that, but I encouraged him by saying poetry is just one of those subjects everybody has to learn. I remember studying poetry in highschool and not really liking it at the time. I liked reading it and reciting it enough, but having to dissect it was a bit blah, especially poems that were just plain difficult to understand. I admit, I wasn't sure what to expect with this curriculum. 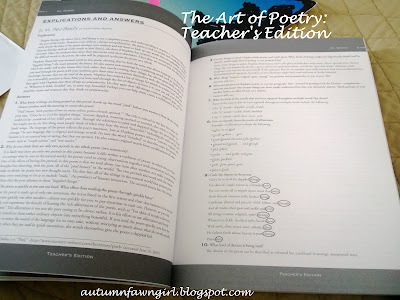 The Art of Poetry is a complete poetry curriculum (268 pages) suitable for middle or high school students in the classroom or at home. Students will learn how to read poems slowly and carefully and will be introduced to many of the elements and forms of poetry. It's extremely flexible and can be tailored to meet the needs of the teacher or homeschool parent. I have provided a link to a list of suggested schedules at the end of this post under the heading, Additional Free Resources. The student book contains 16 chapters and is divided into three basic categories: The Elements of Poetry, The Formal History of Poetry, and Application. There are 8 chapters under the heading, The Elements of Poetry, in which the student will learn about images, metaphor, symbols, words, sound, rhythm, shape, and tone. 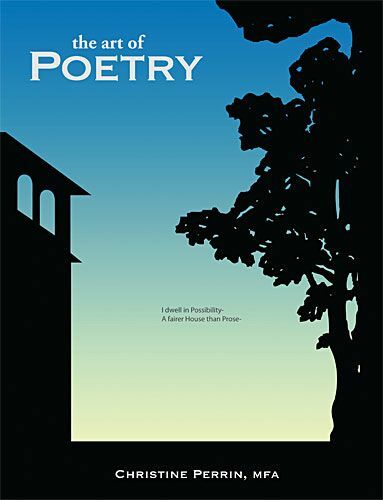 There are 7 chapters under the heading, The Formal History of Poetry, in which the student will learn the history of form, movement, and genre; verse forms; shaping forms; open verse; and narrative poems. The last heading, Application, contains only one chapter - Growing Your Interest. This chapter would be for the student who wants to take poetry to the next level by getting involved with a poetry group, starting a poem notebook, keeping a writer's journal, reciting poetry, finding mentors, and more. Each chapter in the book follows a predictable format. In the first few pages the student will learn about a particular element or concept of poetry. Example: The element discussed in chapter 1 is images. Next the student will learn to read closely. Here, the student will read a poem that exemplifies the element or concept which has just been learned. Following the poem is a detailed explanation that the student can read. After that, the student will move on to reading a collection of selected poems (anthology) and answering a set of questions after each poem. Example: In chapter 1 there are 6 poems. Number of questions vary for each poem. 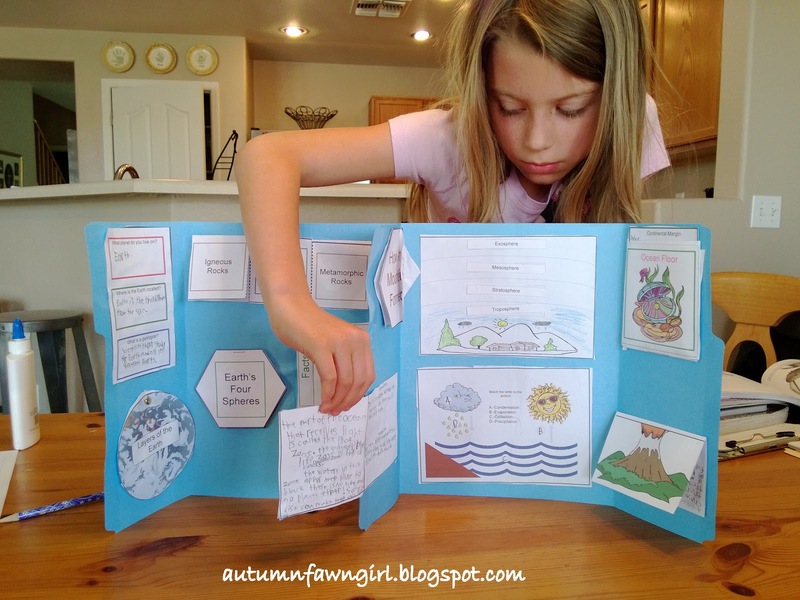 Following Anthology is a list of activities from which the student can choose. Example: In chapter 1 there are 9 activities listed such as 1. Take five minutes and freewrite about images from one of the four seasons, 2. Describe an image that is important to you, 3. Describe the past school year through images, 4. Figure out which sense is most important or strongest to you, and so on. The last page in each chapter has a list of vocabulary words and their definitions. These words appear in bold type as they are mentioned in the chapter. Another great feature is the section in appendix a containing short biographies of 51 poets in the book. Poets include Dante Alighieri, William Blake, Lewis Carroll, Emily Dickinson, T.S. Elliot, Robert Frost, Langston Hughes, Henry Wadsworth Longfellow, Edgar Allen Poe, Ezra Pound, Christina Rossetti, William Shakespeare, Robers Louis Stevenson, William Wordsworth, and more. Some of the biographies include black and white pictures as well. What I love about the Teacher's Edition is that it is set up just like the Student Edition. It contains the entire student text. If my son has a question about the poem on page 21, I know I can go to my teacher's manual and turn to that exact same page. Both pages will have the same poem and list of questions. Also, I like that Ms. Perrin thoroughly explains each poem (37 of them) in the answer key section. The explications of the poems and answers to the questions are at the end of each lesson. These pages are distinguished from the rest of the text by dark gray, 1 inch bands spanning across the tops and bottoms of the pages. This feature makes the answer key very easy to locate when I am ready to grade. This feature also marks the Introduction to the Teacher at the beginning of the book and the poetry timeline and quiz section at the end of the book. 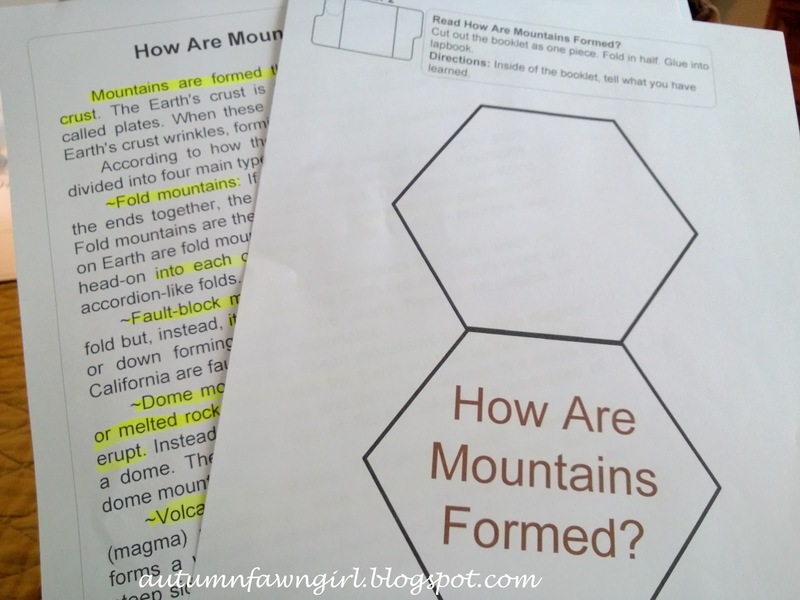 There is a quiz for each chapter and a cumulative quiz which can be photocopied from the Teacher's Edition. An answer key for these are provided as well. Click to view sample chapters from the Teacher's Edition. We were given a sample of the DVD to use during our review which featured chapters 1 and 2 only. 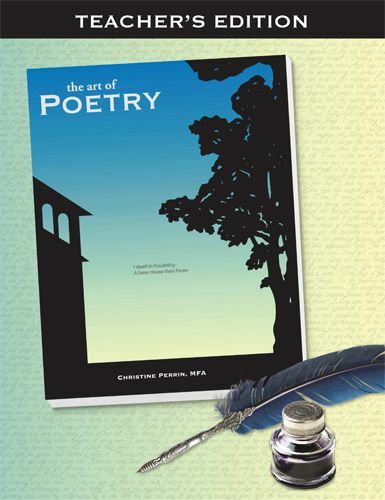 The entire DVD set for The Art of Poetry contains 15 hours of Christine Perrin teaching the lessons and discussing poetry chapter by chapter with four eighth grade students. This tool can be very valuable if your child likes to see and hear the lessons, however it isn't absolutely necessary to be able to complete the course. I have to say I am glad it isn't a must since our homeschool budget will not allow for the purchase of the DVD set. While my son and I enjoyed hearing Christine teach at the beginning of the lessons, we felt that the discussion time with the students was a bit long. Each chapter we watched lasted about an hour. If you know your child would really benefit from having the lessons on DVD, you can save almost $25.00 by purchasing the The Art of Poetry Bundle for $99.95. I basically turned this curriculum over to my son and let him work at his own pace. It took him a little over a week to complete a chapter which included watching the video for the first 2 chapters, reading the poems, answering questions, and completing a couple of the activities. I required that he answer all of the questions, but not do all of the activities. I gave him the freedom to choose at least one or two of the activities for each chapter. I didn't really make time for planned discussions, but as I graded his work, I would add comments or talk to him about some of the elements he didn't completely grasp or needed to expound upon. This is definitely a course he will continue for the rest of this year and part of the next school year. Having this curriculum has renewed my interest in poetry as well, and I would like to begin including poetry during our family's read-aloud time. 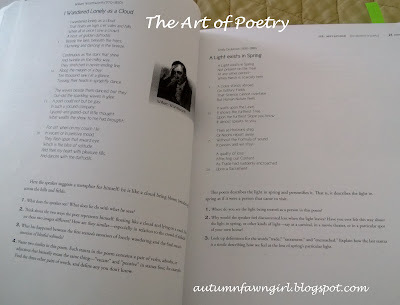 I recommend The Art of Poetry to any student interested in studying poetry or any student who needs to take a course in poetry. It's extremely thorough, and my son is enjoying it. Keep in mind that this will work well for students who like the classical learning style. There's a lot of reading and writing and very few pictures which may not appeal to all students. Click to read more Classical Academic Press reviews from the Schoolhouse Review Crew. 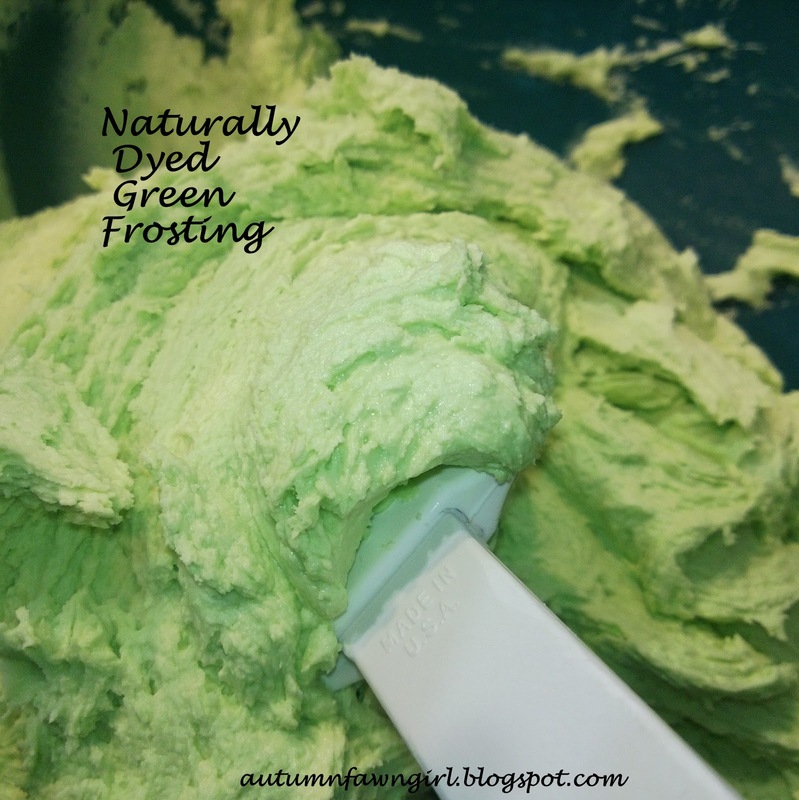 I liked the way my "beet" frosting turned out last year, so I thought I'd try to make some natural green frosting with spinach. Sounds gross, I know, but you really can't tell. My kids ate it right up! * 3 Tbsp. 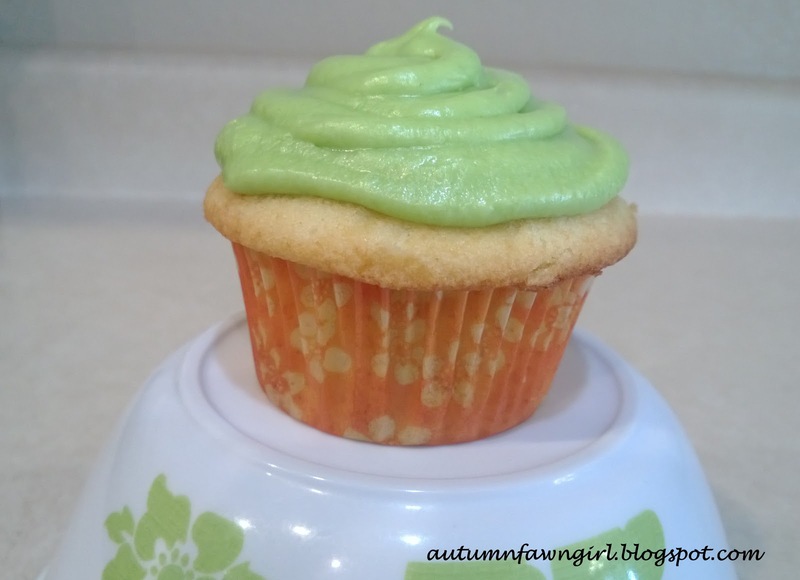 of milk, more or less depending on how thick you want your frosting to be. This frosting is perfect for St. Patrick's Day cupcakes! I know, I kind of ruined the whole natural thing when I added the Lucky Charms marshmallow on top, but how cute, huh? Just so you know, this is the first time my kids have ever seen Lucky Charms in this house!! 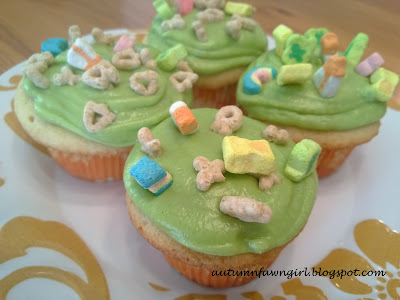 Oh boy, and then I let my daughter decorate a few with a bunch of Lucky Charms. ;) All because I saw it on . . . any guesses? PINTEREST, of course. Click the link, the photos are much better than mine!